We're showing information for 93101. Consumers are smart. They do their research and only enter relationships with the companies they consider to be leaders in their industry, which means competition throughout the greater California area is relatively stiff. Having a fast, reliable Internet connection will set your Santa Barbara, California up for success. Fortunately, Frontier Business packages give you the Internet access and phone connections you need to quickly reach clients and employees. Business High Speed Internet is just one of the essential services included in these bundles. Every business needs the proper tools to be successful in The Golden State. 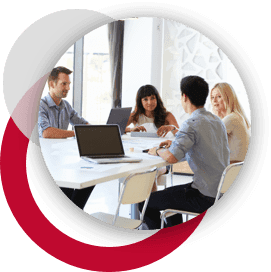 Frontier’s services for small businesses offer features that will help you broaden the reach of your business while maintaining strong client, employee, and prospective partner relationships. Job-growth rate projections show an average of 26.56 percent for the Santa Barbara area, which means every time you compete for customers, you’re competing for talent as well. Frontier gives you the options you need to win over customers and employees alike: Keep your staff motivated and goal oriented through Conferencing. Stay safely connected with employees and clients through Managed IT. Boost sales and promotional support with Texting, and maintain a healthy, lucrative online presence through Web Hosting and Development. It’s more important than ever to invest in scalable technologies, especially for large businesses in California experiencing growth. If you’re facing the challenges that come with an expanding business, it’s time to look into Frontier’s Enterprise Solutions. One important decision you can make is to select products that won’t need to be replaced as your company gets larger. Our scalable Ethernet (Local Area Network and Virtual Private Line) keeps you connected and gives you a sustainable bandwidth during—and long after—your expansion phase. That’s not all either. The Frontier IP Virtual Private Network makes it safer to access digital files and sites through a secure IP connection. Along with scalability, your Santa Barbara business is going to need the latest tools to keep up with the competition. Telecommunications has come a long way, and with Centrex from Frontier you can stay up to speed with high-quality telephones that will keep you seamlessly connected to your customers, no matter where they are. 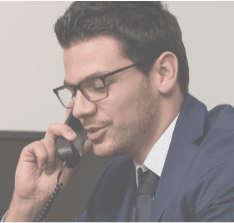 And with our Hosted VoIP solution you’ll not only receive an excellent phone connection, but you’ll also have access to other essential features like voice-to-email integration, Caller ID, unlimited nationwide calling, and voicemail. On top of that, Frontier Communications will take care of hosting, equipment, network design, and monitoring. Letting Frontier take the reins means that you can focus on providing the best service to your customers in The Golden State. Regardless of your industry (Hospitality, Retail, Health Care, Finance, Education etc. ), customers living in Santa Barbara, CA want to easily contact companies that they are considering doing business with. They expect to interact with your employees online, in person, and over the phone; and they tend to remain loyal to businesses that provide the resources to make these interactions simple and efficient. By choosing Frontier in your area, you get dependable customer service and advanced infrastructure and equipment. Plus, Frontier's services are customized to fit your industry, so you'll be a step ahead of the competition. Did you know that 0 cybercrimes were reported in California throughout 2013? That’s why it’s more important than ever to keep your business’ online accounts and other assets safe. With Frontier Secure, you’ll not only have malware and virus protection for your business, but you will also have cloud back up and the best tech support available. Frontier also offers equipment replacement programs for businesses in California. And to top it all off, Frontier allows your California business to handle all of your online needs as quickly as possible on a blazing-fast connection. In fact, Frontier delivers speeds of up to in your area. A faster Internet connection lets you spend more time growing your business and less time waiting on slow downloads. Keep your business moving forward while staying protected with help from Frontier’s roster of services and products.